Taking occasional breaks from looking on the microscope can help protect your eyesight. 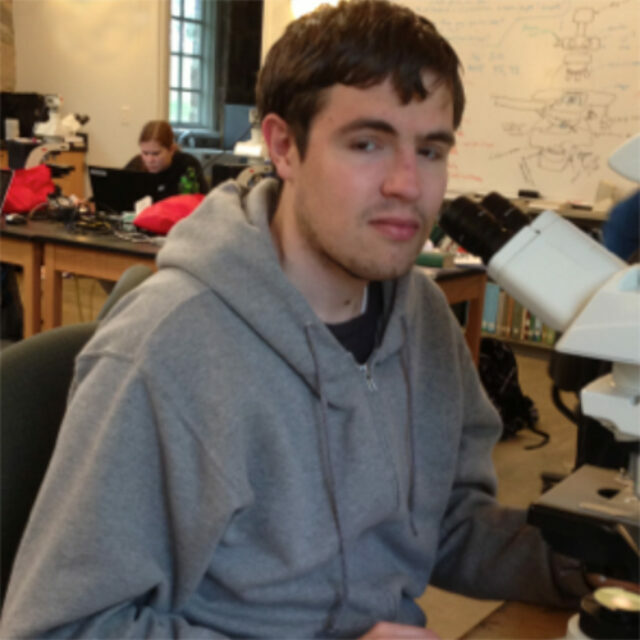 I study biology as a graduate at Towson University, MD, where I am currently researching the benthic diatoms of local urban streams in Baltimore, MD. I am currently analyzing the species composition of diatoms within composite samples of epipellon, epipsammon, and epiphyton from the streams, as well as samples from a prior student’s experiment where they manipulated the salt and phosphorus concentrations within microcosms. My experience lies in sampling for benthic diatoms from freshwater streams as well as some water chemistry analysis for the streams. In undergraduate, I aided in annotation of a sequence from an African fruit fly species, Drosophila erecta, and have been interested in aiding in the annotation of diatom sequences, most likely after finishing my current research.